Green Air Monitoring was established in 1999. 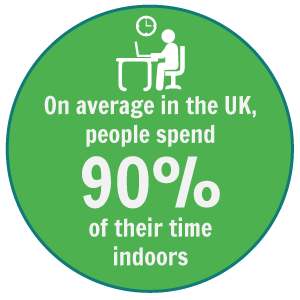 We are independent providers of monitoring and testing services for indoor air and water – the most fundamental aspects of your working environment. To get in touch with us to book a survey, get some advice or for any other reason, use the form below or the contact details on this page. Reflecting customer needs and the overall knowledge of indoor air quality as a concept, we have enhanced our ‘Basic5’ surveys into the ‘Standard6’. The International Well Building Institute (IWBI) has recently launched its next version of the WELL Building Standard –WELL v2.